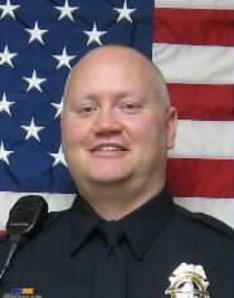 Corporal Jason Harwood was shot and killed while making a traffic stop in the 3200 block of SE Sixth Avenue at approximately 4:45 pm. 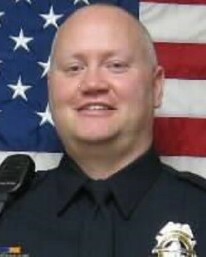 One of the vehicle's occupants opened fire during the traffic stop, fatally wounding Officer Harwood. The suspect believed to be the shooter turned himself in a short time later. The subject was convicted of Corporal Harwood's murder and sentenced to life without parole. On December 24, 2015, the 32-year-old subject was found unresponsive in his cell at the El Dorado Correctional Facility. He died 30 minutes later. 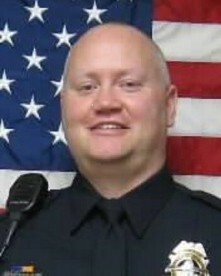 Corporal Harwood had served with the Topeka Police Department for 15 years. He is survived by his wife, two sons, parents, and seven siblings.